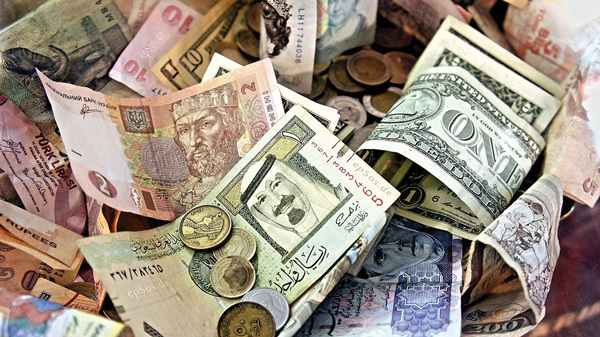 Though the Foreign Currency Exchange industry is in decline, Miami-Dade County is on track to approve a new lease and concession agreement to the International Currency Exchange contractor that has been providing services to the county for the past 26 years, keeping all currency exchange locations at the airport. A request for proposals was issued “under full and open competition,” the legislation approved at the county commission’s Economic Development and Tourism meeting last week said, but of the six firms that purchased the document, only one submitted a proposal. LenLyn, Ltd., the International Currency Exchange [ICE] Foreign Currency Exchange provider is to pay Miami-Dade’s Aviation Department a minimum annual guarantee of $608,000, which includes the rent for the location, or a percentage fee of 6.3%, whichever is greater. ICE will also pay the aviation department 25% of pre-paid phone cards gross revenues; 15% of all other service gross revenues; 15% of travelers checks, money wires and credit card fees; and 3% of online sales/bookings. The three-year contract has three one-year options to extend. Ms. Sosa suggested reworking the item before bringing it to the full commission, saying other commissioners might not find the contract useful if the legislation says the market is declining. Commissioner Sally Heyman told the airport to have a thorough explanation differentiating between a declining industry and healthy airport operations. “When you come back, explain why many vendors didn’t respond versus the money made in this area,” Ms. Heyman said. Ms. Heyman’s primary concern was maintaining a provision in the previous contract whereby international passengers could donate foreign currency to the county in receptacles throughout the airport. The current contract extends the provisions, continuing the county’s free currency exchange on donations and accepting change from passengers. “It has made a difference of a lot of money for both parks and animal services,” Ms. Heyman said. Commissioner Javier Souto was on board with the legislation, but thought the county could provide even more locations for donations throughout the airport. “The airport is a huge place and we need to have more of them all over the place,” Mr. Souto told commissioners. The airport said there are 12 exchange locations but only four donation receptacles. The item passed the Economic Development and Tourism Committee unanimously, moving the contract forward to the full county commission to vote.